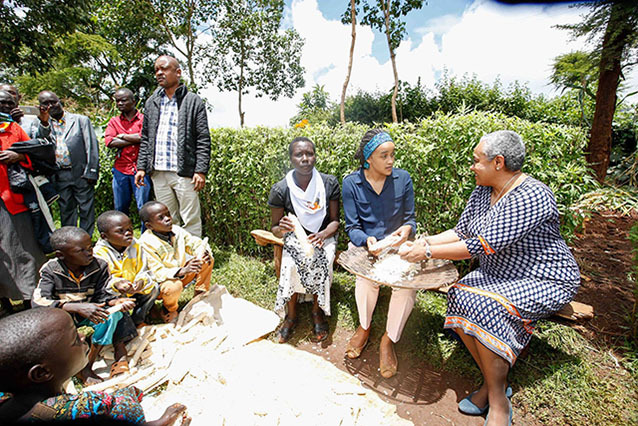 Today First Lady Margaret Kenyatta joined Mrs. Machario to shell maize for her household ahead of her meeting with mothers and women leaders at Kishaunet, ASK Showground, in Kapenguria Town. Accompanied by her daughter Ngina Kenyatta preparing maize after harvest. 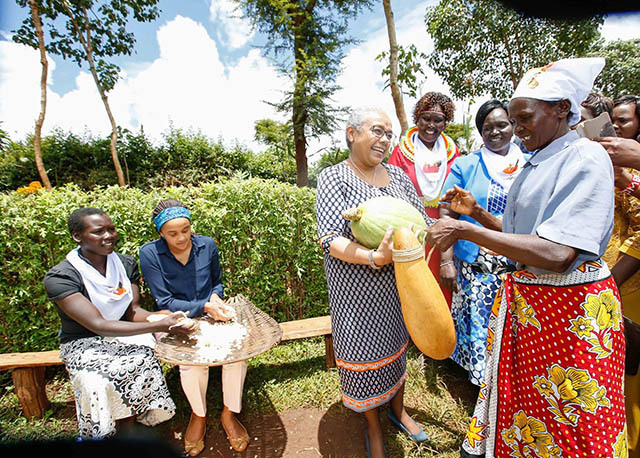 This is the first time the first lady mama Margaret Kenyatta and her daughter Ngina Kenyatta have ventured that much into the interior of North Rift. The First Lady then ventured into the house of Machario’s son Abraham Ngetuka and his 20-year old wife Naomi Cheptum, a mother of two, where she installed a mosquito-net to protect the mother and her children as the unbelieving mothers danced with joy outside the immaculate hut. She was also gifted a sotet, hen and other gifts from mothers at the town. That’s why she’s our first lady, she’s so down to earth, the role of first lady fit her so perfectly. Great. First Lady anathandura mahindi…Now that’s humility. Very proud of my First Lady. I see another Nobel Prize coming to an African lady after Prof. Wangari Mathai.